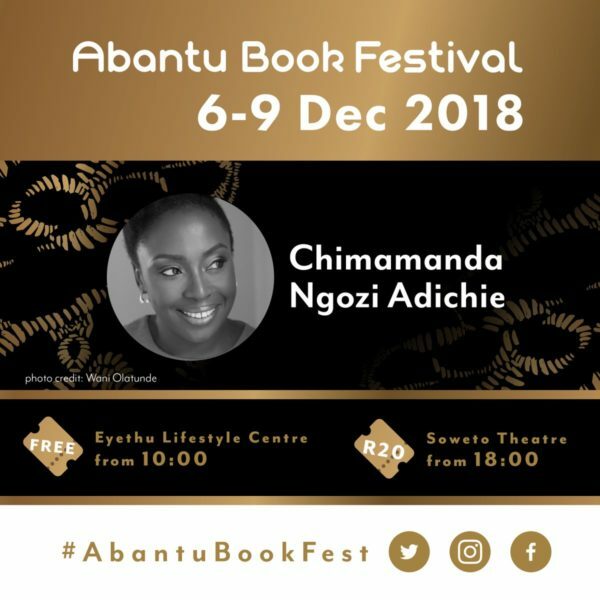 Chimamanda Ngozi Adichie is coming to South Africa for the 2018 Abantu Book Festival. 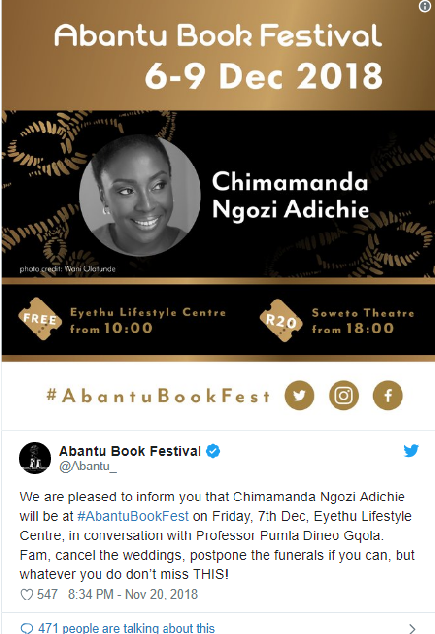 The announcement was made this morning on Twitter by the festival organizers. 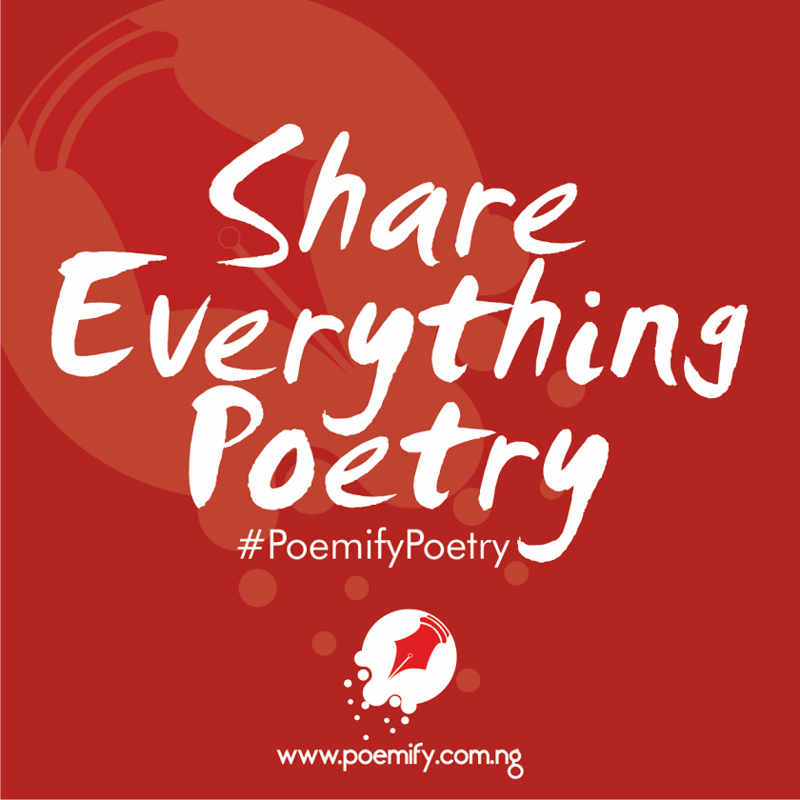 She joins a list of guests that includes Cassava Republic founder Bibi Bakare-Yusuf, This Mournable Body author Tsitsi Dangarembga, Fred Khumalo, Helon Habila, Happiness Is a Four-Letter Wordauthor Nozizwe Cynthia Jele, Lagos Poetry Festival founder Efe Paul Azino, House of Stone author Novuyo Rosa Tshuma, In Memory of Forgetting poet Wana Udobang, These Bones Will Rise Again author Panashe Chigumadzi who just won the 2018 Brittle Paper Award for Essays, Ake Festival founder Lola Shoneyin, Mizz President author Mapule Mohulatsi, and 2018 Brittle Paper Award for Creative Nonfiction winner Sibongile Fisher.